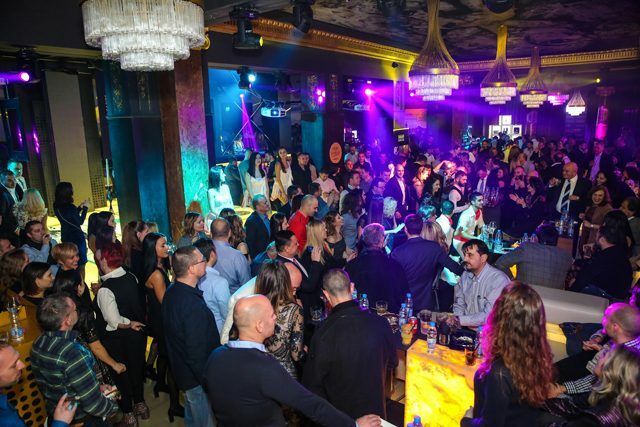 Last December 7th, “Kaliman Caribe” – the exclusive distributor of Habanos, S.A, presented for the first time in Bulgaria, the brand Quai D Orsay on the traditional annual event Habanos Night. 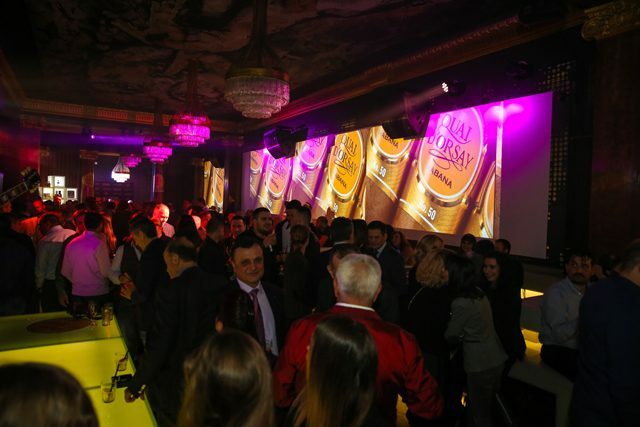 The guests enjoyed a real interactive show through 3D mapping that recreated the spirit of Cuba with Habanos Festival footage, scenic visions and presentation of accented cigar releases. 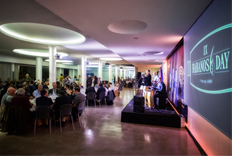 At the XIX Habanos Festival in 2017, the brand designated for the French market made its official world return with two completely new vitolas called Quai d ‘Orsay – No.50 and No.54. The brand comes alive with more intense colors and a contemporary design of the ring and the box. A novelty here is the side label of the box. Unchanged remains the soft, balanced and elegant taste that characterizes the line from the first day of its creation. Among the other highlights of the ХI Grand Party Habanos Night, “Kaliman Caribe”, also presented Montecristo 1935 – a cigar that deserves the attention of every real connoisseur. Quai D’ Orsay was established in the 1970s for the purposes of the French market. It was ordered by the Minister of Finance at that time, because of the need for a cigar in addition to the nation’s achievements in fashion, perfumery, textiles and wines. Initially conceived for machine production in Cameroon, the plan was quickly oriented in the right direction – the exquisite cigar is made by hand and with black Cuban tobacco. It takes its name on behalf of the street where SEITA is located – the local cigar distributor for the country and the French Foreign Ministry, on the left bank of the River Seine. Quai d`Orsay is the name of the location of the Ministry, and it also means the “alley by the river”, where many artists have searched for their inspiration. Through its purpose, the cigar also reaches to the embassies and diplomats of France abroad as a fragment of the richness of French culture around the world. The skillful selection of the leaves of Vuelta Abajo* and Pinar del Río* in Cuba* skillfully creates Quai d`Orsay, enchanting even the exquisite French taste with a delicate bouquet of feelings of wood and honey, vanilla and hazelnut, dried flowers and a finish of earthly notes. The brand is one of the lightest in the portfolio of Habanos, S.A. For more than 40 years, it has kept her secret delicate temper primarily for her most avid supporters in France. For the last decade, it has cast 4 regional editions Exclusively for France. “Kaliman Caribe” Ltd. was founded in 1995 as an exclusive distributor of the prestigious brands of Habanos cigars for Bulgaria. Over the years, the Company has strengthened its leading position in the retail and distribution of hand-made cigars, tobacco products, high-end smoking accessories and gourmet products. Kaliman Caribe’s portfolio is continuously updated, responding to customer demand and market developments, offering a rich mix of world-class brands and manufacturers. The Company is a licensed representative of La Casa del Habano – the world’s leading Habanos cigar boutique chain from Cuba, and runs its own brand of Premium Cigars & Tobacco. The boutiques are located in top locations throughout the country and abroad. 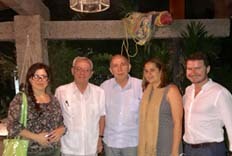 “Kaliman Caribe” is also a representative of the elite Cohiba Atmosphere brand again under the license of Habanos, S.A. The concept of Cohiba Atmosphere is to offer a unique experience to its visitors with exclusive surroundings, high-end products and service, meeting the highest international standards in the field. The club offers opportunities for private events, discreet personal and business meetings. As of 2016, “Kaliman Caribe” in collaboration with Habanos, S.A., expanded its international presence as an exclusive distributor for Albania, Armenia, Bosnia and Herzegovina, Bulgaria, Kosovo, Croatia, Macedonia, Serbia, Slovenia, Romania and Montenegro. The mission and core value of the Company is the promotion of Habanos culture and, as a continuation of this priority, the Habanos Academy educational field. Within the core levels of training, you gain in-depth knowledge of the history, origin and process of cigar making, presentation rituals, tasting skills, and the professionalism of habanossommeliers.